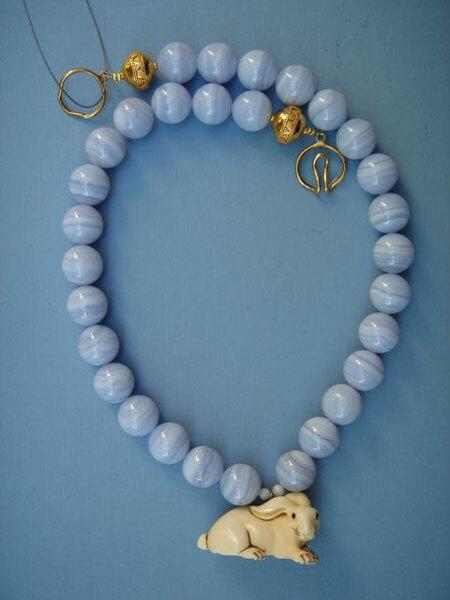 Approx length 20", rabbit 1" x 1 3/4"
This necklace is made with a mammoth ivory rabbit and blue lace agate beads. The blue lace agate has bands of blue, paler blue and cream. The rabbit is symbolic of virtue and speed and also symbolic of longevity. Those born in the year of the rabbit are intelligent, successful in business and lucky in love.